NOTICE: Requires the base game OMSI 2 in order to play. Activation key must be used on a valid Steam account. Requires internet connection. 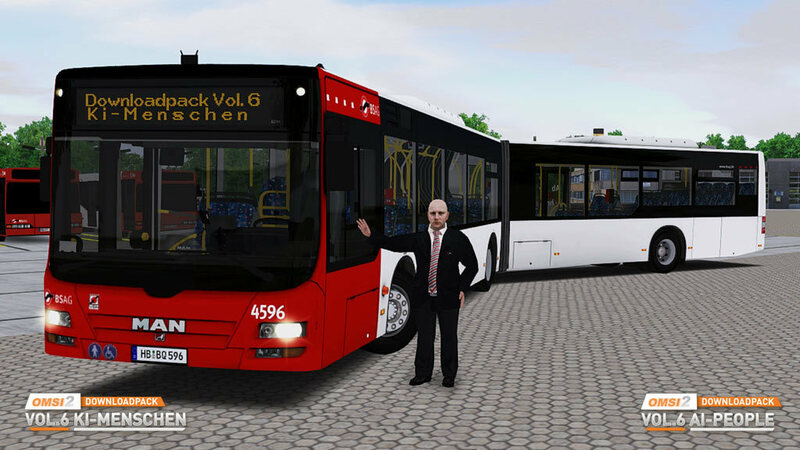 The 6th part of the OMSI 2 Downloadpack series offers you not only new AI passengers who provide plenty of variety on your OMSI maps. 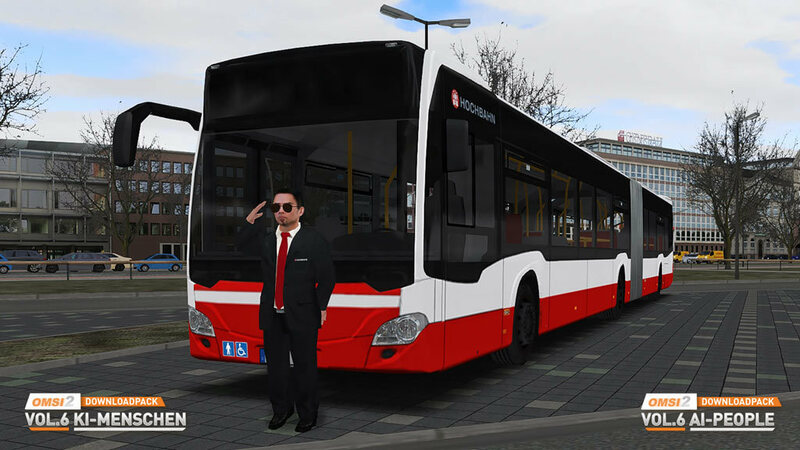 But for the first time there are also new bus drivers who will drive your passengers carefully through everyday traffic in your OMSI Game. 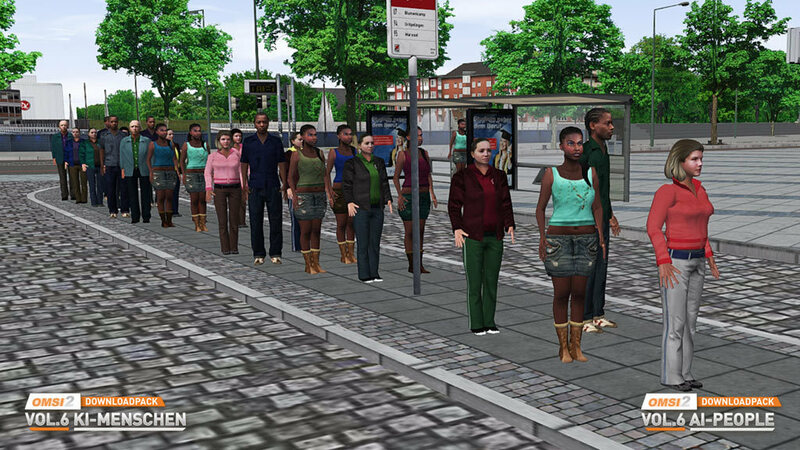 The new AI passengers are available in over 70 different clothing variants. 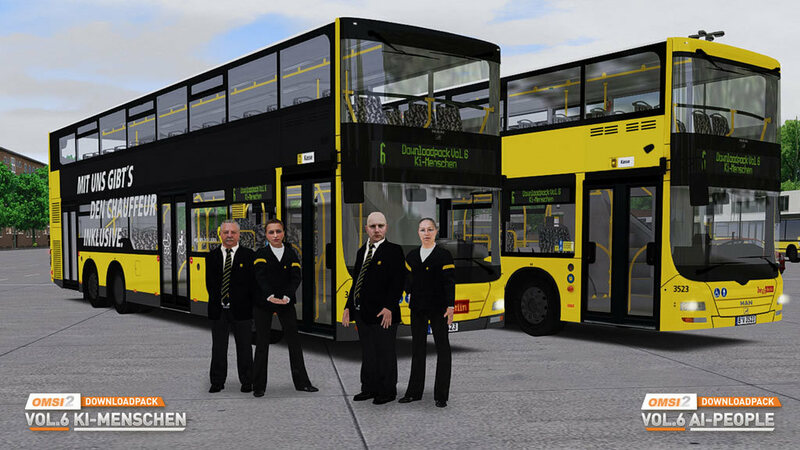 The new bus drivers wear the service clothing of various well-known public transport companies. 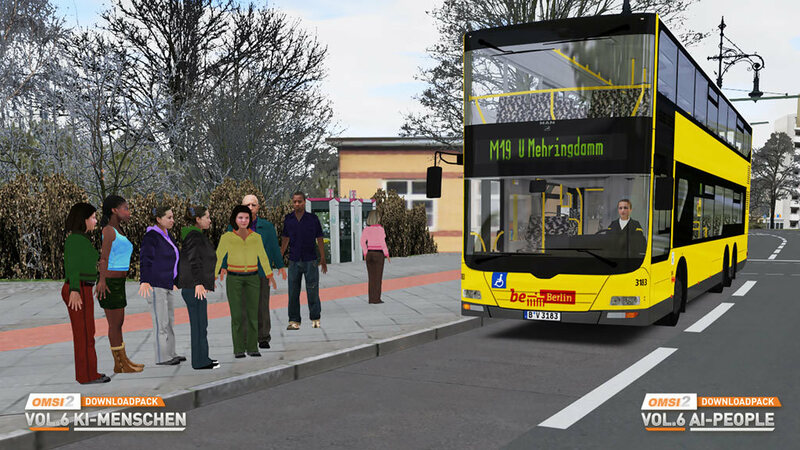 They are also available for the cities of Hamburg (HVV), Berlin (BVG), Bremen (BSAG) and even London (London Public Transport). 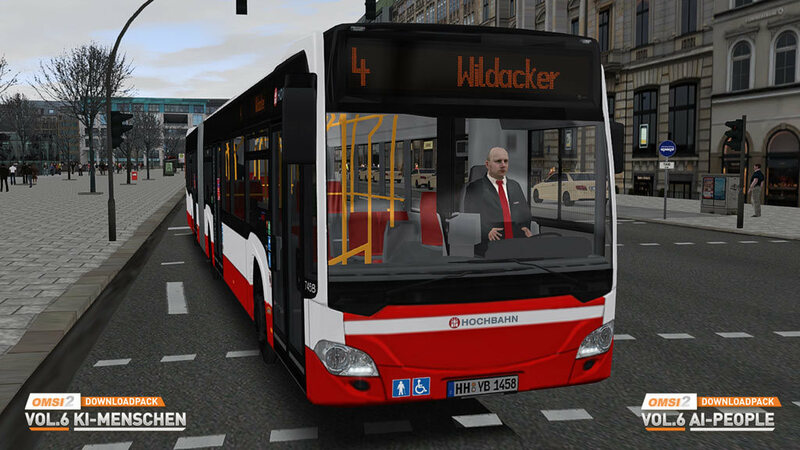 The new drivers can also be used as passengers. Especially for this edition, over 200 language files in German and English were professionally recorded in the recording studio. The English passenger voices can, for example, be used on English-language maps in order to increase authenticity. 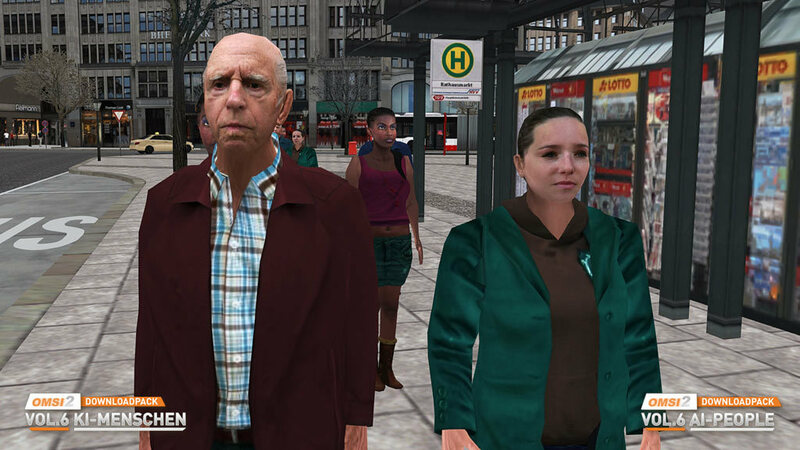 With the OMSI 2-Downloadpack Vol. 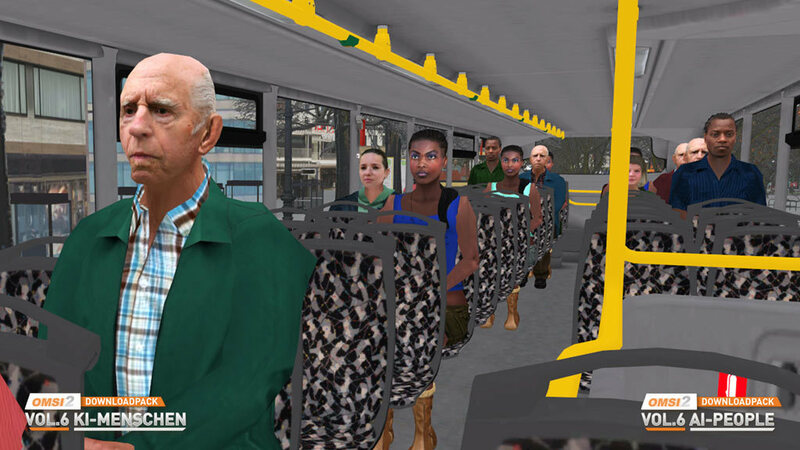 6 you will not only receive new passengers for your OMSI Maps, but also your buses will be driven by the new drivers. 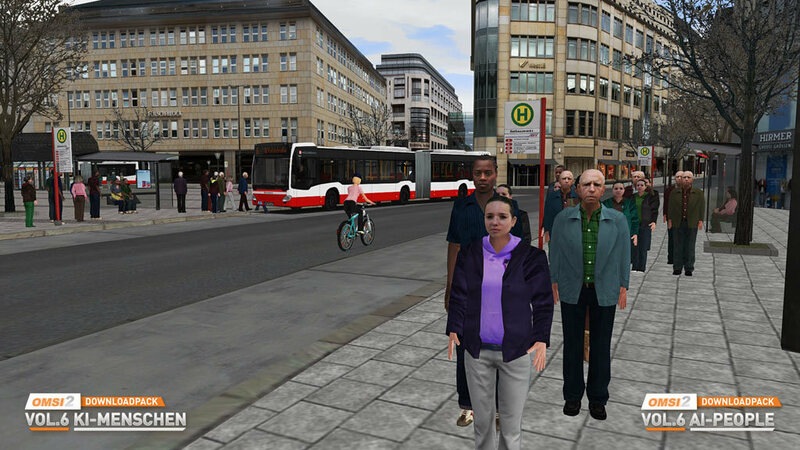 For use on existing OMSI maps, the AI people of the OMSI Download Pack Vol. 6 must be manually integrated into the maps. Please follow the instructions. 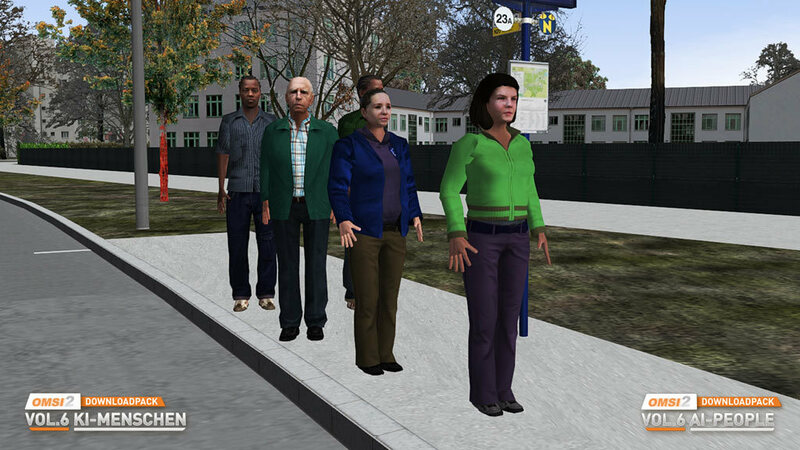 For copyright reasons the distribution of the AI people of the OMSI2 download pack Vol. 6 individually or together with free maps is not permitted. 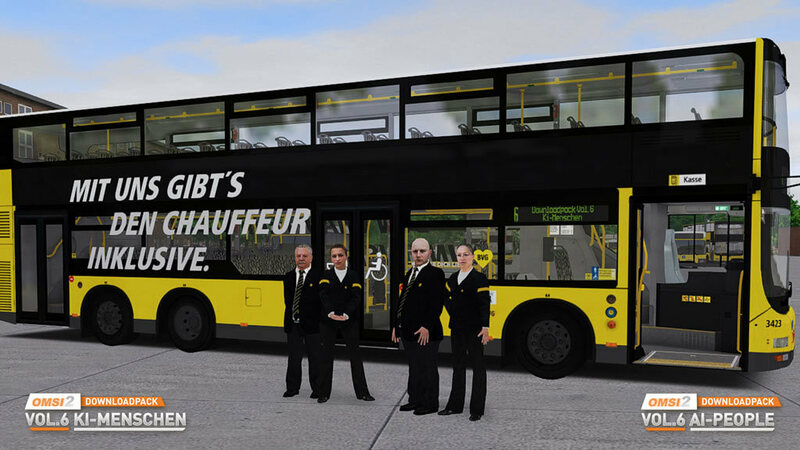 Copyright © 2019 AEROSOFT. All rights reserved. All trademarks and brand names are trademarks or registered trademarks of the respective owners. Copyrights are serious stuff. If you find any pirated copies of this software please notify us. We will make sure reports of copyrights violation are rewarded.